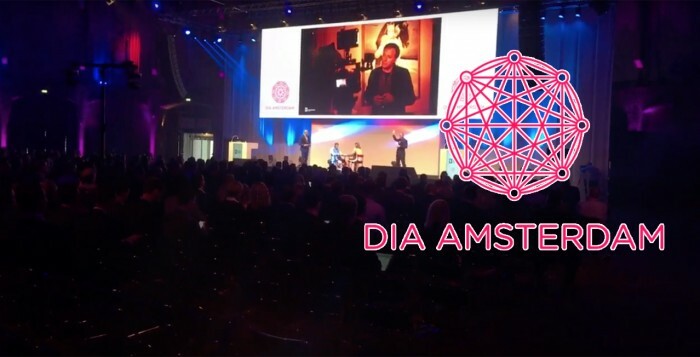 On the 11th and 12th of May the Digital Insurance Agenda took place in Amsterdam, an amazing world class event where over 700 executives of 200 companies from 36 countries showed up! It was very special for a few reasons. Usually the insurance industry can be quite boring for not focussing on new technology, but at this years event they managed to make InsureTech extremely hip and interesting. They turned the Westergasfabriek into a beautiful venue and there were lots of amazing speakers of different companies every 15 minutes, over 50 incredible startups, great food and wonderful people. Everyone was in a great mood, wanting to improve and looking for innovation. DIA initiators Reggy de Feniks, Roger Peverelli and Conny Dorrestijn are absolutely world class entrepreneurs with a deep knowledge of the insurance industry. Because of their network they gained the trust of hundreds of people to come the previous edition in Barcelona. Everybody was talking about it and from that moment every one in the insurance industry wanted to be a part of it. I interviewed them about the event and reinventing customer engagement! How did they come up with the idea to do something this cool for InsureTech? One of the amazing startups was Sentiance, a Belgium company that intelligently tracks and traces everybody! By taking raw data from mobile phones they know exactly where all your customers are and what they are doing. You can see it in real time on amazing animations. It’s kind of creepy but also handy and unbelievable in how much detail you can see what people are doing. By using this kind of data companies can provide more suitable services. Already used by millions all over the world but it’s only the beginning and for a euro a month you can join it. CBDO Tom Vandendooren explains how it works! Hover makes 3D models of your house by using pictures you took on your phone, an extremely handy feature for contractors and insurance companies! It shows you all measurements, from the roof to the windows to the basement without having to visit the property. The company was founded in 2011 to support USA troops in Iraq/Afghanistan and is now growing very fast having already 800 people working. For 20 dollars you can make a model of a house anywhere in the world! Reply.ai make a very interesting chat bot that by their estimations will be powering 85% of all customer service interactions by the year 2020. The company is just a year old and are already working for all the big players like HP, Unilever, Starbucks, Ryanair and many more. In the interview I asked CEO Clara the Soto how this is possible in just 15 months! It’s her 3rd company and together with cofounders from Google they started this project. If a company has all the right papers to make it, this is it! We also demo all the very creative features of the bot. BIMA Mobile is bringing insurance to people all over the world who never had it before. Offering simple life insurance, personal accident insurance (for 3 cents a day!) and basic hospitalization. So for about 3 dollar a month you can get the full insurance package with income protection. BIMA currently has 30 million customers worldwide, 3000 employees and has been funded for 75 million by investors. Started out in 2010, now active in 16 countries and growing each day. How do they do this? I interviewed head of communication Nicola Smith and included a demo on not a smart phone, but a feature phone! Very interesting and a socially extremely useful company! Dacadoo, a health care platform that tracks the health of the user with 50% engagement rate. It helps you stay healthy by tracking your daily patterns and advising what to eat, drink and when and how much to move. It also motivates you by giving rewards and keeping score. Insurance companies can use this information and currently they are starting a project with Mensis in the Netherlands. I interviewed Lucas Ammann about the app!